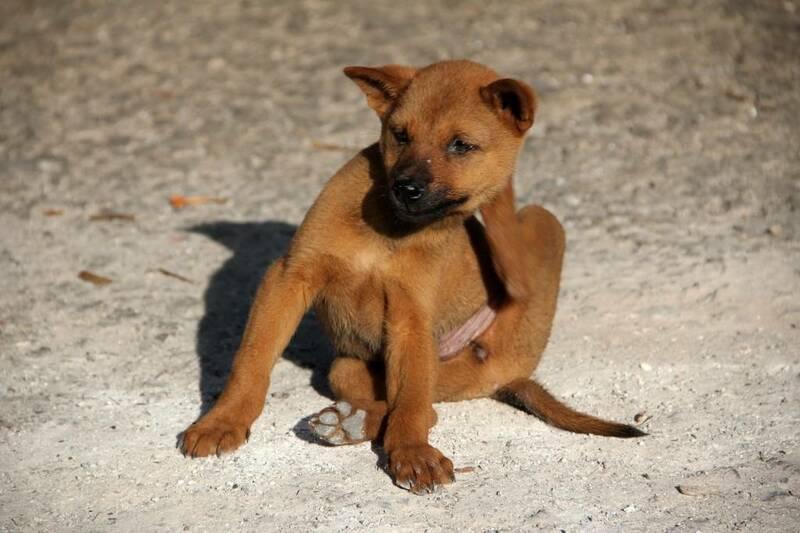 One of our most frequently asked questions is how do we get rid of fleas and ticks naturally. The answer to this comes in multiple parts. The first thing you have to ask yourself is do you actually have them? Some think that just because we live in Florida that everyone has fleas and ticks, that's not true. You either have them or you don’t and the more you use chemicals on your yard the higher your chances of having them are because your ecosystem has been compromised.These chemicals aren't just killing the bad bugs but also the good bugs too! If you don’t currently have fleas or ticks and are just looking for a preventative these are your options!. Flea Free is a great preventive! It’s composition is made up of vinegar, garlic, citrus, and herbs. It’s used best when added to the pets food everyday. What makes it so great is that it actually covers the protein in the blood that attracts fleas, but not just fleas, any blood sucking insects like ticks and mosquitos too! It keeps them away and keeps them from biting! This same company makes the GARL-OR3 Yard and Garden spray! This product is quite effective at getting rid of mosquitoes, flies, ants, fleas, ticks, and many other insects. Application is only once a month during the warmer months out of the year when these insects are at their most active! Now when actually dealing with a flea or tick problem all of the above products are recommended with a few additions. One of the best things to use when dealing with fleas or ticks is Food Grade Diatomaceous Earth (DE) . Diatomaceous earth is the remains of microscopic one-celled plants called diatoms that lived in the oceans and lakes thousands of years ago. It kills anything with an exoskeleton like fleas, ticks, mites, silverfish, roaches and ants. It works like a chemical but it’s NOT, so they cannot become immune to it like they do to a chemical. When used it slices open their exoskeleton and dehydrates them from the inside out! Application consists of spreading it like pepper all over your home working it over your entire floor and under baseboards. (DE is a very fine powder which makes a fine dust in the air so you may want to wear a mask so you don't irritate your passageways). Once you have spread it, you just leave it down. It is safe for you and your pets to walk on or even eat it. It's actually a natural dewormer but we will cover that in another blog. We recommend vacuuming at least every 3-5 days to stay on top of the problem. When you think that you’ve vacuumed up all the DE put more down and when you think the fleas are gone do it again to make sure you get all the egg cycles! Just remember a little bit goes a long way so you don’t need a lot on the floor, one pound covers about 2400 sqft. Trust us we have used too much before and ruined our vacuum. We also recommend using a flea comb on your animals to physically help get rid of as many as you can. If you get rid of the fleas before they lay eggs, then its less egg cycles you will have to deal with. Lastly, we would also recommend getting beneficial nematodes for your yard. Beneficial nematodes are microscopic worms that you will release in your yard that eat flea and tick eggs and larva. Dealing with these pests can be a nightmare but using these helpful tips can make all the difference in the war on fleas and ticks! For any questions contact us by email or phone!